* The origins: How everything from the philosophy of Plato to classic Victorian tales and cult comic books has helped to create sci-fi as we know it. 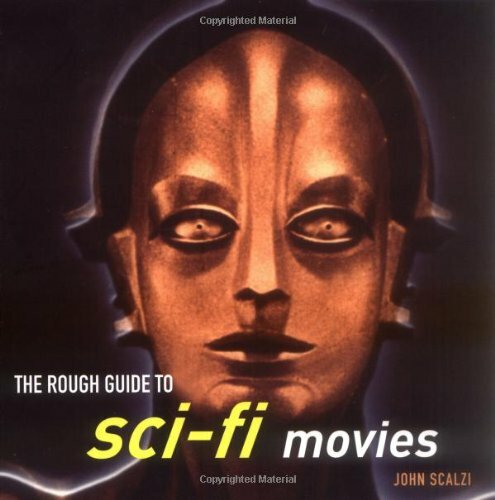 * The canon: 50 essential science fiction movies, including Metropolis, Star Wars, Blade Runner, 2001, Alien and The Planet of the Apes -- with dozens more films reviewed in each chapter. * The locations: The places we know -- decimated by invading alien hordes -- and those we don't, from the moons of Jupiter to the barren wastes of Tatooine. * The icons: Filmmakers such as George Lucas and Stanley Kubrick; characters like Ming the Merciless and Ellen Ripley; and not forgetting the spaceships, robots and creatures that defined a genre. * Global sci-fi: The classic and the weird from Mexico, Russia, India and beyond, with special attention paid to the anime and kaiju eiga traditions of Japan. * And everything else you need to know: The technology, the fans, conventions, magazines and websites. Personal Notes: I'm pretty pleased with this book, since it's a very easy read, but at the same time packs in quite a lot of information about the history of science fiction film (and science fiction in general); I think most people will come away knowing more about science fiction than they did coming in. Also, I had a blast writing the reviews for The Canon, and I think it shows.